Are you ready for something amazing? 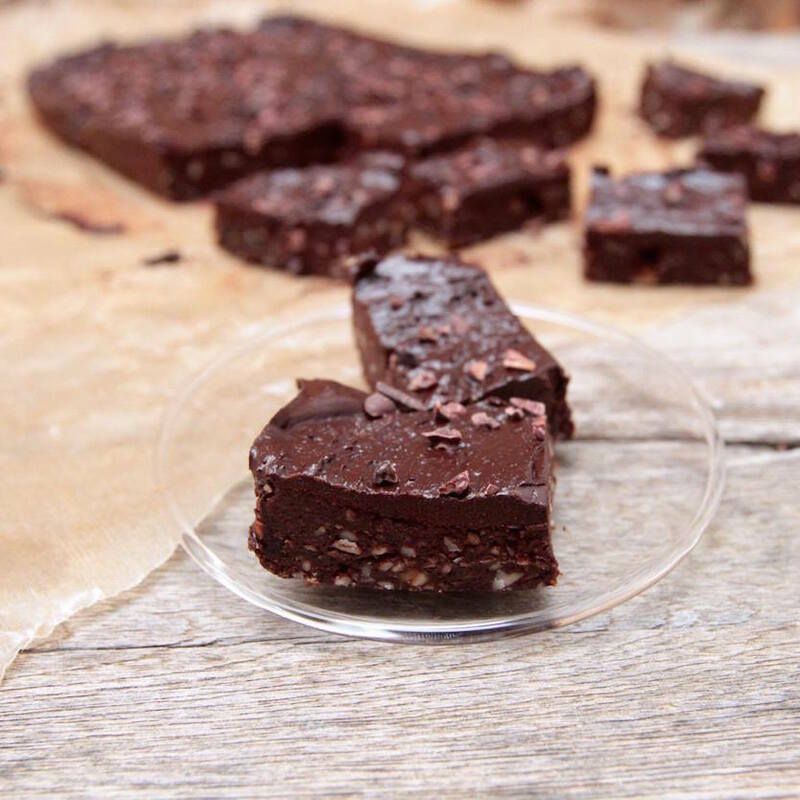 Then try my raw chili brownie! We are completely hooked, especially my 10 year old son! For the base, chop the nuts and pitted dates. Then toss them into your food processor with the rest of the ingredients. Blend until the mixture has an even texture. Then evenly press the date mix into a container covered with baking paper. The container I use is 16×25 cm and has a lid. Place the base in the fridge to settle while you make the topping. For topping simply mix all the ingredients in a small bowl and pour it over the base. Sprinkle with some raw cacao nips. Then place the brownie in the freezer for minimum 30 minutes to settle. Remove the brownie from freezer 15-20 minutes before serving.